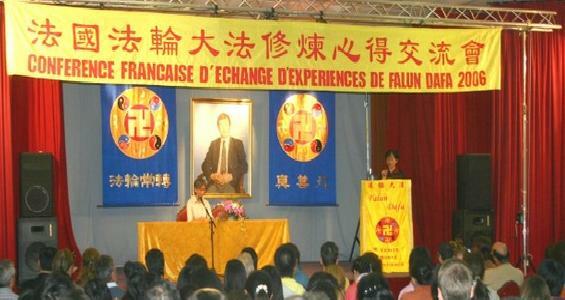 In the afternoon of November 26th, the 2006 French Falun Gong Cultivation Experience Sharing Conference was held at the Paris Overseas Chinese Culture and Education Centre. 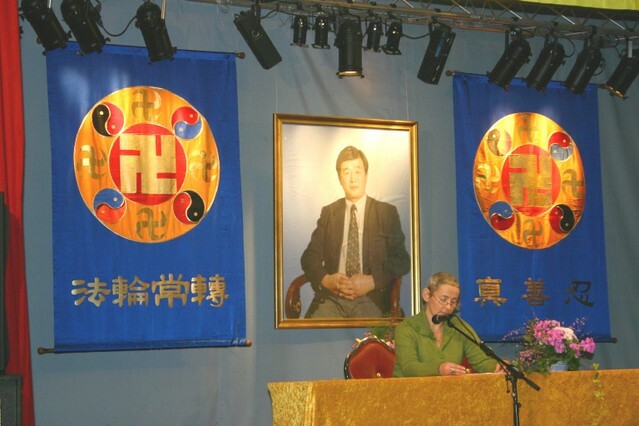 Practitioners from France and other French speaking areas in countries like Switzerland and Belgium attended this grand conference. Thirteen practitioners shared their experiences on doing well the 'three things' and participating in the Fa Rectification. Ms Rose from Normandie is a tour guide and has many opportunities to meet with Chinese and other foreign tourists. By explaining the truth about the persecution of Falun Gong and distributing the Nine Commentaries (an editorial published by The Epoch Times newspaper), she realised that practitioners, no matter whether in Paris, the other provinces, or practitioners in mainland China, are one body in terms of revealing the brutality of the persecution and having people understand the true facts of the situation. She also shared on how to look inward and get rid of the attachment of validating oneself. 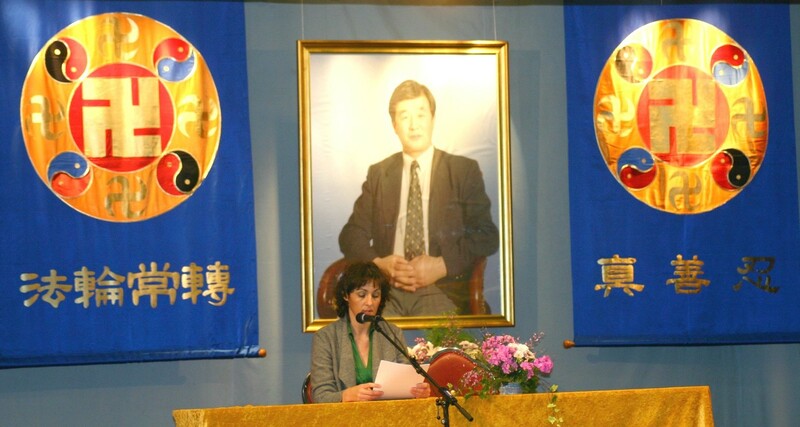 Nicolas, a new practitioner from Paris, who has cultivated for one year, shared his experiences on how to overcome various fears and step forward in the Fa-rectification period cultivation through studying the principles of Falun Dafa and looking inwards. Practitioner Celine from Marseilles shared her cultivation experiences on forming one body with other practitioners and gradually getting rid of the attachment of arrogance, human notions, seeking comfort and so on. Guerti from Jura said that, through participating in translation work for Dafa websites, she had learned more about the persecution, the torture happening in China as well as the propaganda and lies spread in China. She can feel Dafa practitioners’ righteous thoughts and firm belief in Dafa and Master, which encourages her to be more diligent in cultivation and unceasingly get rid of various attachments, do the three things that practitioners must do well. The day before the conference, practitioners working on different projects held a group Fa study and sharing.